Better Homes and Gardens, which reaches nearly 37 million consumers each month, recently released findings from its sixth-annual exclusive survey on the attitude and spending trends of home buyers. This year’s research focused on Millennials’ preferences for their next home and asked more than 3,200 prospective home buyers to share their thoughts on home improvement spending, the importance of personalization, and technology in home value. According to a recent report from the Boston Consulting Group, US Millennials account for an estimated $1.3 trillion in direct annual spending. In addition, the report notes that in the next fifteen years, Millennials will outnumber Baby Boomers 78 million to 56 million. Waage notes for example how Millennials use a range of media platforms including social media such as Pinterest, Houzz, and Instagram, among others, to express their personality, and share ideas on home design and style. Like previous generations, the Millennial generation believes owning a home is part of the American Dream (79 percent) and that a home is still a good investment (77 percent) however; many are challenged to qualify for home loans. Thirty-five percent of Millennials said a lack of down payment was the greatest obstacle to making the dream a reality. One-quarter of respondents would be willing to take out a loan to take advantage of the current real estate market. The Millennials are least likely to expect their next home to be newly built (18 percent) and most likely to say their next home will be a house they can fix up (23 percent). Among those planning a home improvement project in the next 12 months, nearly 35 percent highly agree that “now is the right time to spend” on home improvements. Among the respondents, 45 percent of Millennials said they are in the process of planning or doing a major home improvement or decorating project. And, 75 percent of this group report decorating with both furniture and accessories. In addition, work spaces in the home continue to gain importance. Out of those surveyed, 26 percent of Millennials said they are building or planning to build a home office, work space, or family computing center. However, these spaces aren’t a one-size-fits-all solution. A reported 41 percent felt a combined office-hobby-crafts-art room was ideal. When thinking about future projects, casual entertaining is very popular among Millennials surveyed. Thirty-five percent reported wanting to work on outdoor living or entertaining areas. Forty-two percent desire adding exterior upgrades like a deck, porch or patio. Millennials also see value in curb appeal; 52 percent report they will add/replace plantings, shrubs and trees. Furthermore, 40 percent of Millennial respondents want to make their home more energy efficient. Among those surveyed, Millennials want a home with personalization and seek out creative ways to improve the look and feel of their home. 34 percent of Millennials plan to change the function of a room, such as a nursery, office, craft/hobby space. Examples of personalization and home individualization include chalkboards, under stair storage, and adding bins and buckets to maximize shelving. Other personalization trends include choosing industrial and vintage elements in the bathroom, sliding barn doors, and considering children as part of decor choices. Nearly six out of 10 respondents report using a smartphone or tablet to access home-related information. They are primarily using their mobile device to find decorating ideas or shop for items for their home. Among Millennials, when asked “In which of the following ways do you use your smartphone or tablet to access home-related information?” top responses include finding inspiration and get decorating ideas (67 percent), looking for home repair information and DIY instructions (58 percent), shopping for things for their home (58 percent), getting ideas on buying or selling a home (24 percent), and to find house plans (19 percent). Other popular uses include accessing information they’ve saved on websites such as Pinterest (63 percent) and storing photos they’ve taken of their own space (52 percent). This data was presented at the International Builder’s Show in Las Vegas during the Home Trends and Buyer Preferences session co-presented with the National Association of Home Builders. 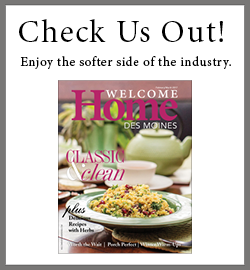 The online survey fielded October 24 – November 7, 2013, among a random sample of Better Homes and Gardens reader panelists. Additionally, the survey was deployed to a sample of Parents and FamilyFun reader panelists who indicated readership of Better Homes and Gardens. A total of 3,284 completed the survey, of whom 1,374 (48%) are self-reported prospective home buyers and were administered questions related to their next home. Among the remaining non-prospective home buyers, 1,172 (41%) report anticipating a major home improvement in the next 12 months—these respondents were administered questions related to their home improvement projects.